Unfortunately, my employer doesn’t like seeing goose poop on the walking paths, so they hire a company to try to scare away the geese. I really hope they don’t disturb the nest. 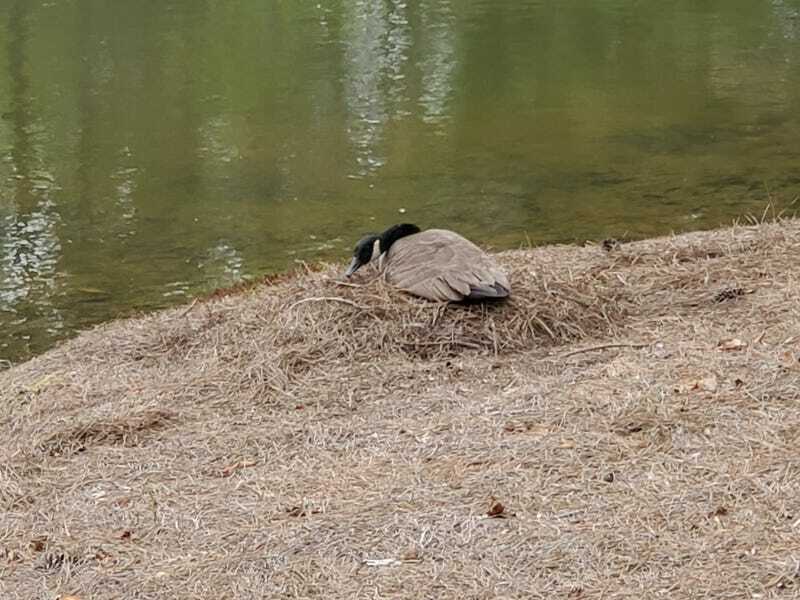 Apparently they would kill the goose inside in a way that fools the geese into thinking nothing happened so as to prevent them from laying more eggs. The goose couple responsible has been hanging out all winter and spring and hopefully they aren’t bothered.